Jennifer Cerriety, working a summer internship, steps out of the office to observe the real world and finds herself thrust into an unimaginable situation. Harold Seaweather worked late to make a few extra bucks to help out his family, but then has to find his way home later than he should... later than is safe. On this night, perhaps by chance, but more likely by design, Jennifer Cerriety and Harold Seaweather are thrust together and will need each other to get through the night and the next day. For this night, they are at the mercy and whim of Big Jim Colbert and his boys. 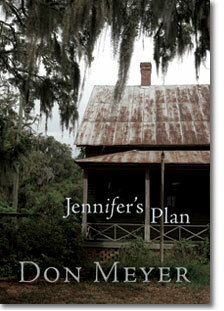 Surviving the ordeal, Jennifer faces the real possibility that there will be no justice, nor can there be. She calls in the only man she knows that can help. Not sure what he can do, she just needs to know he is there with her.